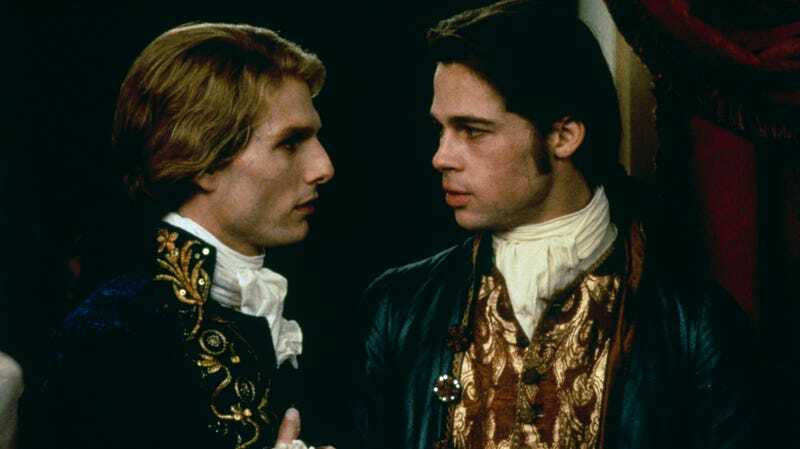 1994's Interview With The Vampire adaptation captured a very traditional take on vampires, with Brad Pitt and Tom Cruise playing aristocratic bloodsuckers with long hair who are kind of sad and sensitive but also violent and dangerous. They were basically the ideal vampires until Blade came along and said they should all wear leather, which seemed really cool until Twilight made it clear that they shouldn’t be cool at all. Some fans still long for the days when vampires wore top hats and cravats, though, so The Hollywood Reporter says that Hulu has decided to finally grant them all of their dark desires by picking up a TV adaptation of Anne Rice’s whole Vampire Chronicles saga—the book series that Interview With A Vampire was based on. This project has been in development for years, and it briefly had Bryan Fuller attached as a showrunner back in January before Hulu came along. At the time, we made a joke about how Fuller was probably going to exit the project (like he has with Star Trek: Discovery, American Gods, and Apple’s Amazing Stories), and The Hollywood Reporter says he did just that about six months ago. Supposedly, Fuller didn’t want to “step on the toes” of Rice and her son Christopher Rice, who wrote the original script for the adaptation. There are 11 books in the Vampire Chronicles series, many of which center around the vampire Lestate (played by Tom Cruise in Interview). Naturally, there’s a ridiculous amount of lore going on here as well, giving Hulu a lot to work with for this TV show, and while the Hollywood Reporter doesn’t specifically quote any executives as saying “this could be the next Game Of Thrones,” you know that’s what they’re all thinking at HULU HQ today.